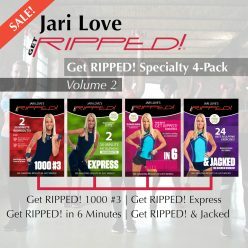 Join Get RIPPED!® Creator Jari Love for Get RIPPED!® Express – a total body workout that will blast fat, rev up your heart rate, and redefine your body. 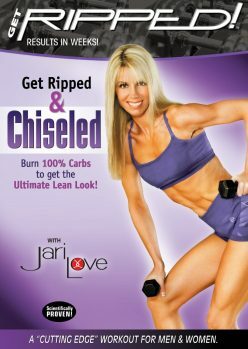 Featuring a selection of Jari’s signature compound exercises and fresh new combinations, Get RIPPED! Express offers the ultimate weight-training experience. Choose from two thirty-minute fat burning workouts or maximize results with the sixty minute complete Get RIPPED!® Express.